There aren’t very many scientists who achieved rock-star status. Stephen Hawking, who has died at the age of 76, family members told British media early Wednesday, was definitely a contender. But his fame wasn’t just a result of his research. Hawking, who suffered from a debilitating neurological disease that made it impossible for him to move his limbs or speak, was also a popular public figure and best-selling author. There was even a biopic about his life, The Theory of Everything, that won an Oscar for the actor, Eddie Redmayne, who portrayed Hawking. When he came to scientific conferences, the audience hung on every word. And it wasn’t just the scientists who stood in awe: the general public flocked to him as well. His popular book about his work was a huge best-seller. “He agreed that that book, Brief History of Time, was probably the least-read, most-bought book ever,” says Leonard Mlodinow, a physicist and science writer at the California Institute of Technology. Mlodinow collaborated with Hawking on a less technical version of Hawking’s first book, called A Briefer History of Time. That title hints at what Mlodinow says was a central part of his character — Hawking’s sense of humor. Toward the end of his life, Hawking’s disease left him virtually paralyzed. It took an enormous effort for Hawking to communicate, using the tiny movements he could make to control a computer interface. It’s tempting to say that Hawking achieved his fame in spite of his physical challenges. 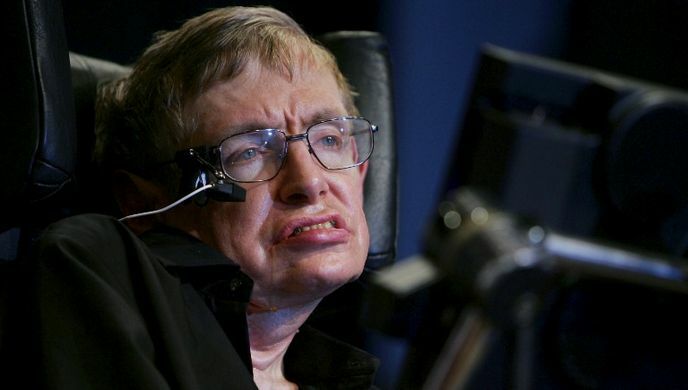 But in a way, Hawking’s physical challenges may have contributed to his mental prowess, says Kip Thorne, a physicist at the California Institute of Technology who frequently collaborated with Hawking. Pictures taken during the flight show what appears to be a very happy physicist floating, chair-free, around the plane’s cabin.